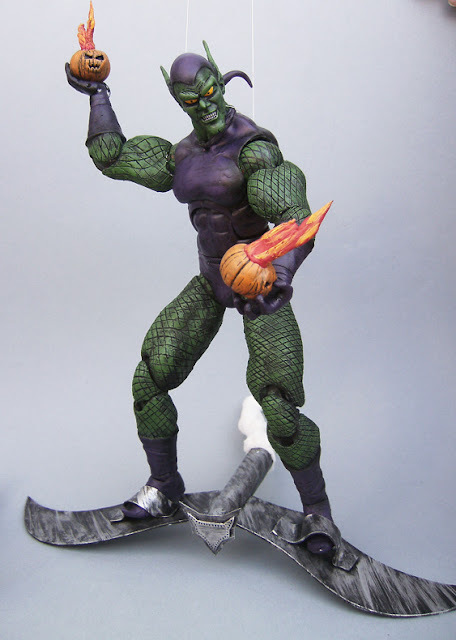 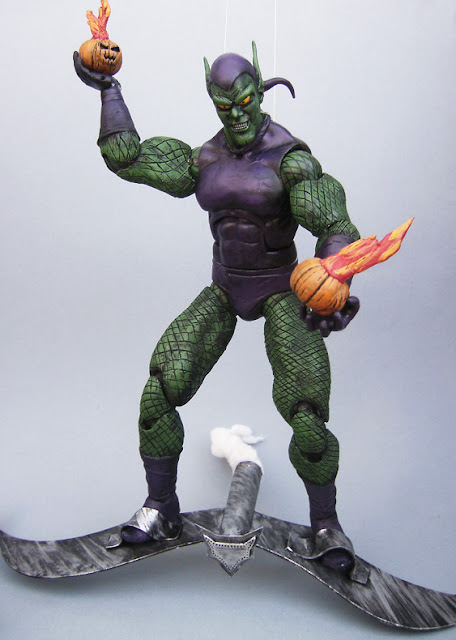 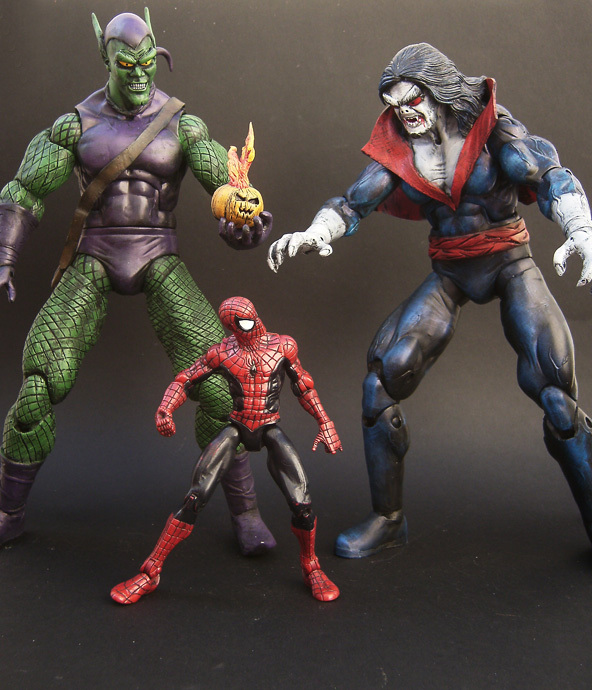 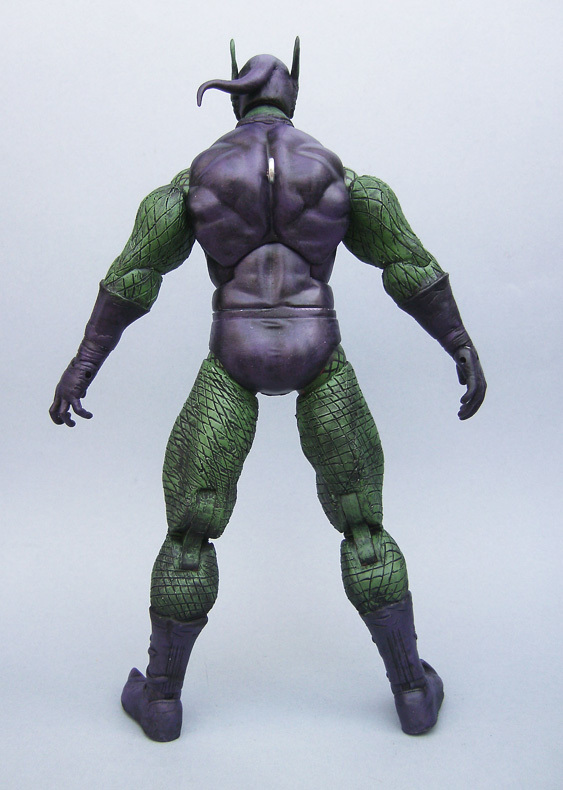 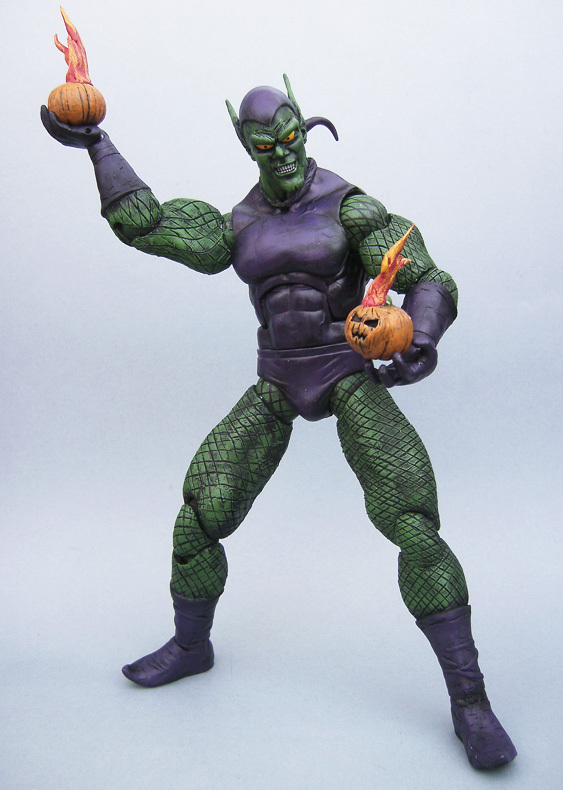 Here is another of my 12" Spiderman villains, Green Goblin. 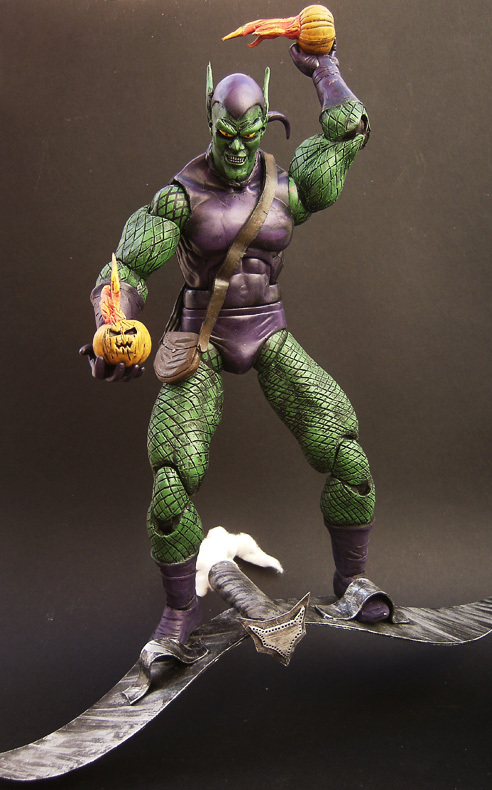 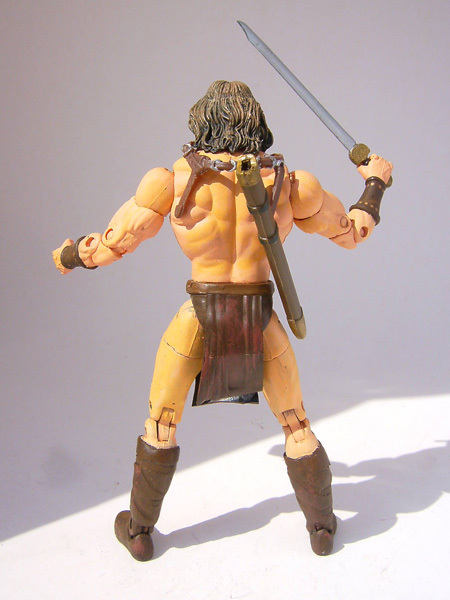 Made with a Elijah Burke wrestler, had to sculpt all the sort of chain mail, and his goblin head too. Pumpkins are sculpted over the Madjack pre-marvel ones, and the glider has been made from scratch, from a old marker and folder. 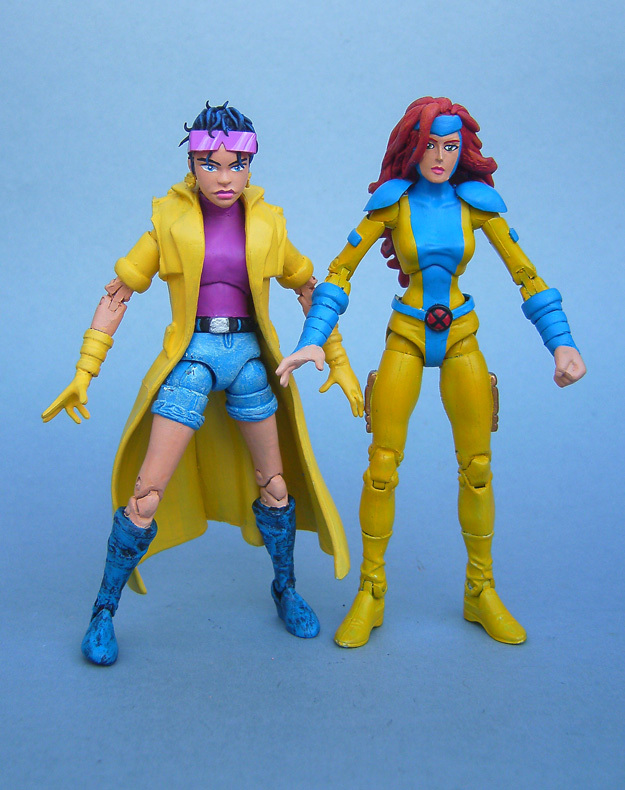 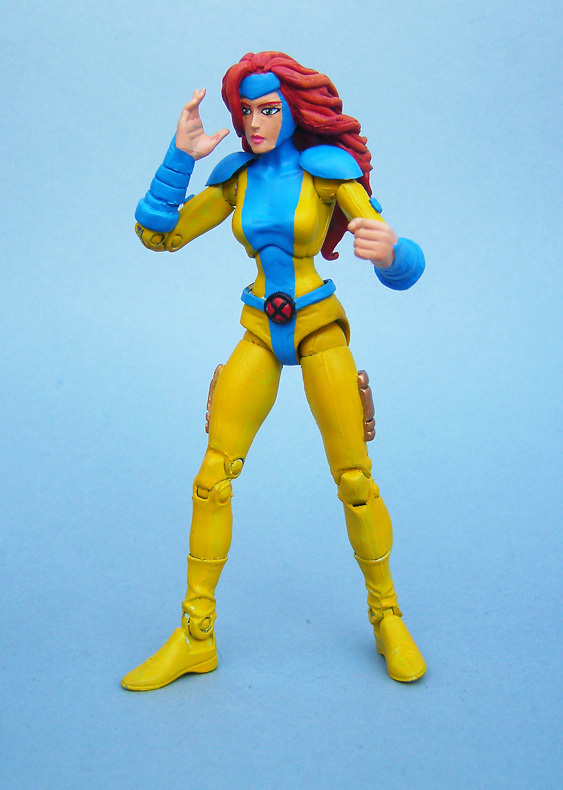 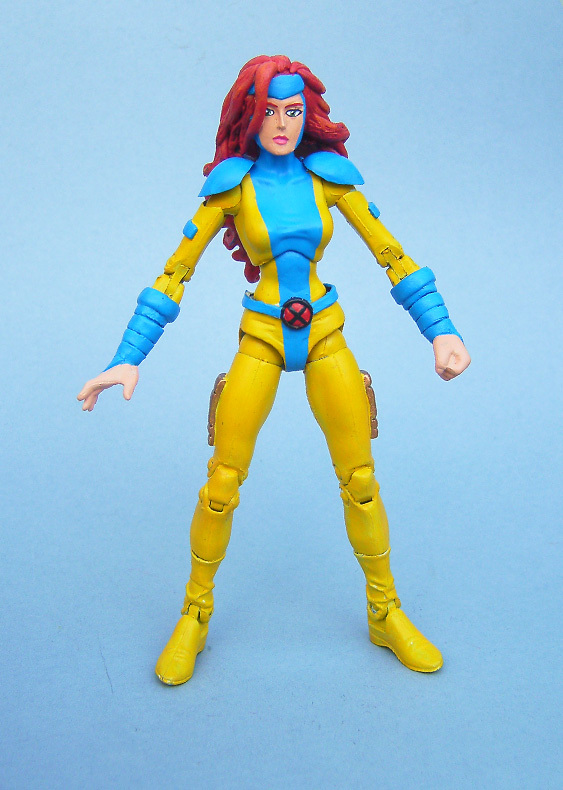 Here is my second Jean Grey, with improved shoulder pads, a lighter blue, different hair and a slightly different face. 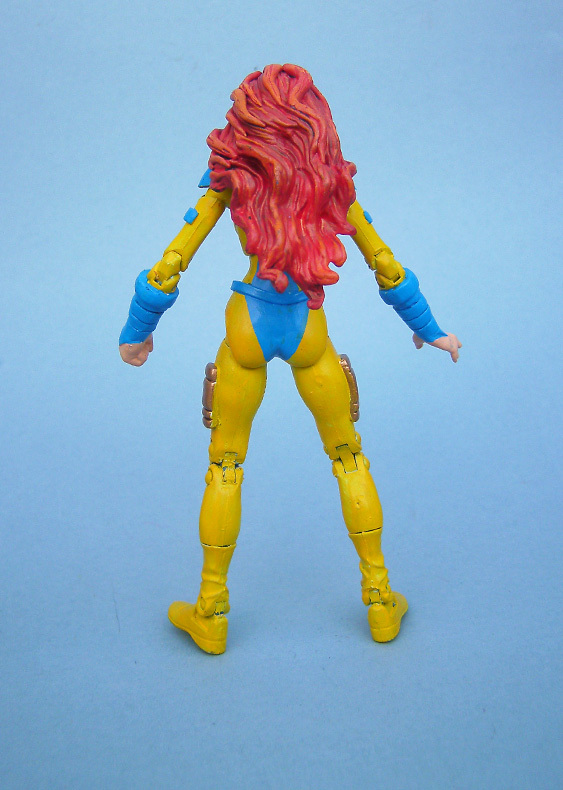 For the rest is the same that as my v1, following the typical recipe of Psylocke with a cast head of Hawkgirl. 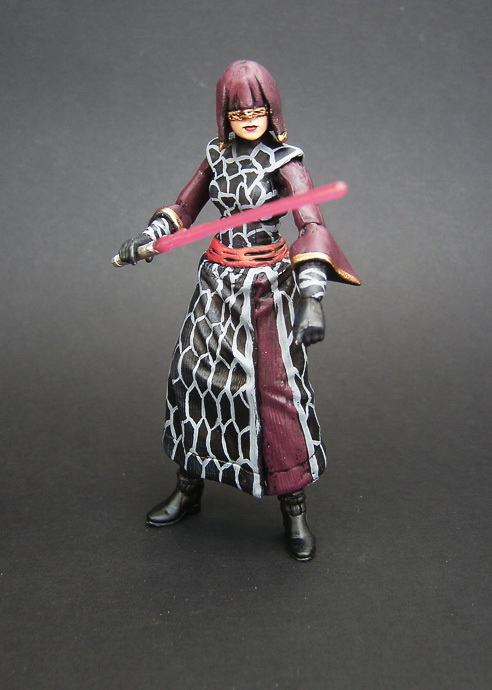 It's been some time since I customized any Star Wars figure, they were actually some of my first customs, so it has been like returning to old times. 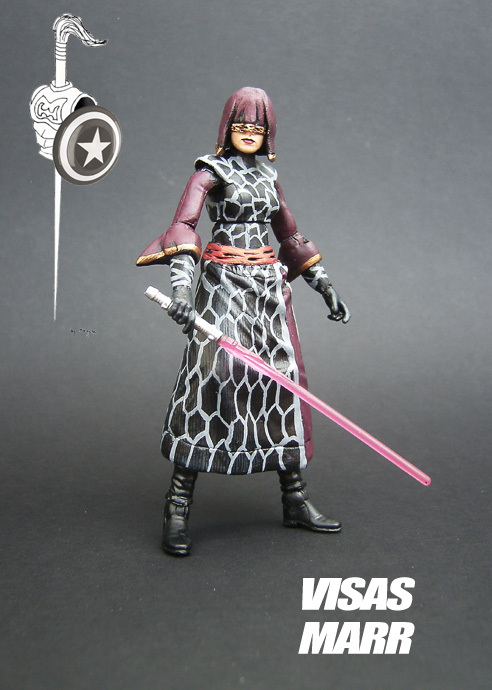 This is my improved version of Visas Marr, made with a Scarlett Roc, with a skirt of Sallah of Indiana Jones, all the rest sculpting. 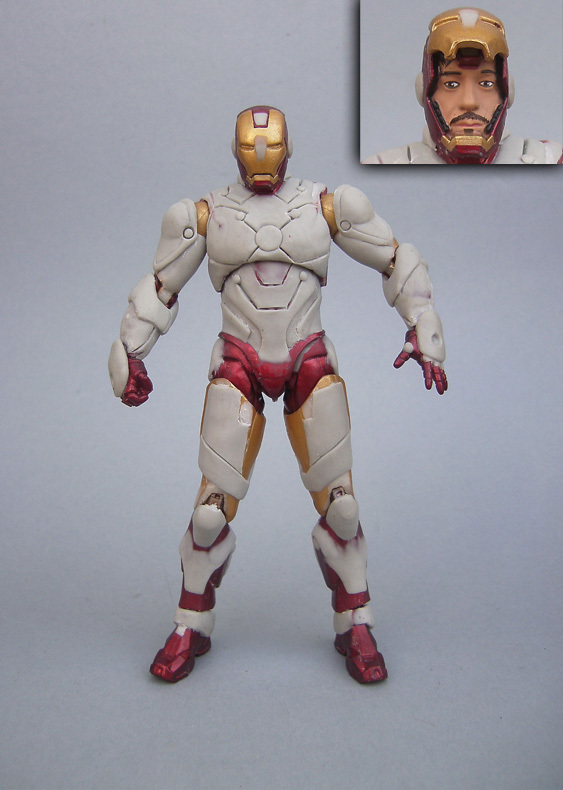 Here is my first Marvel Select custom, Iron Man in his latest armour, the Bleeding Edge one. 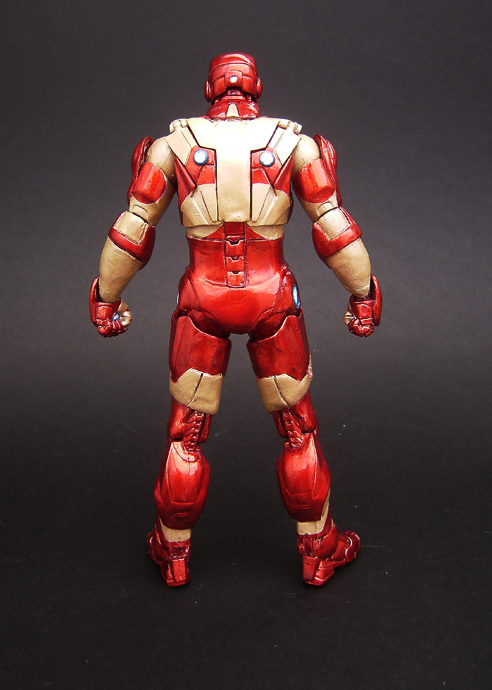 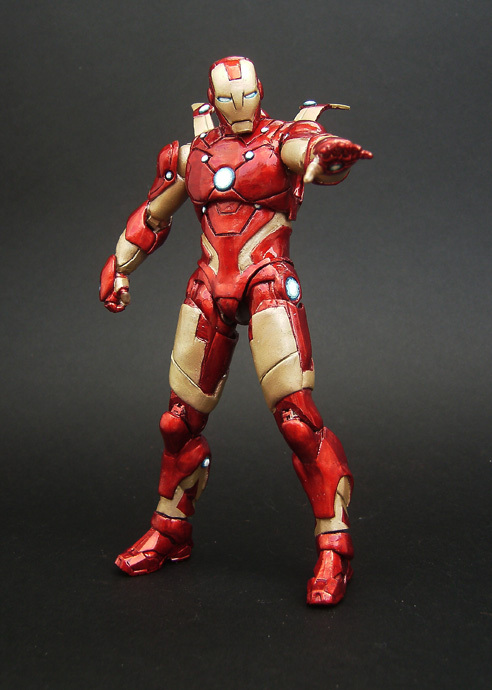 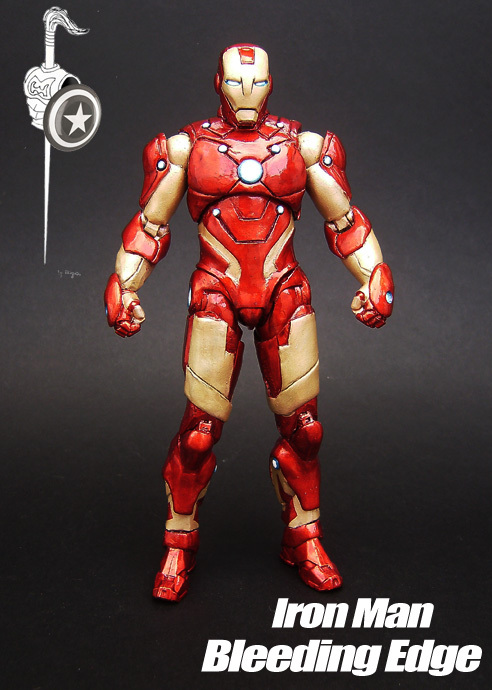 Based on the Marvel Select movie Iron Man, with lots of sanding and sculpting. 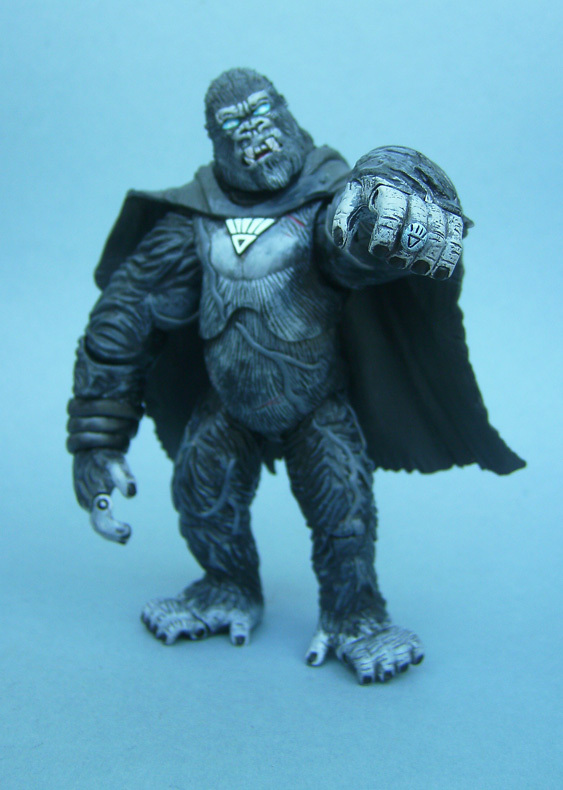 I have decided to maintain flaps as they give a very cool impression. 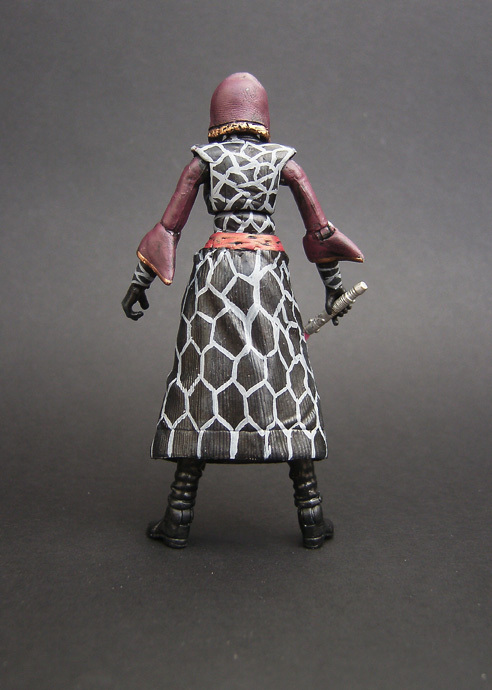 It took more time than usual but I think the result was worth it. 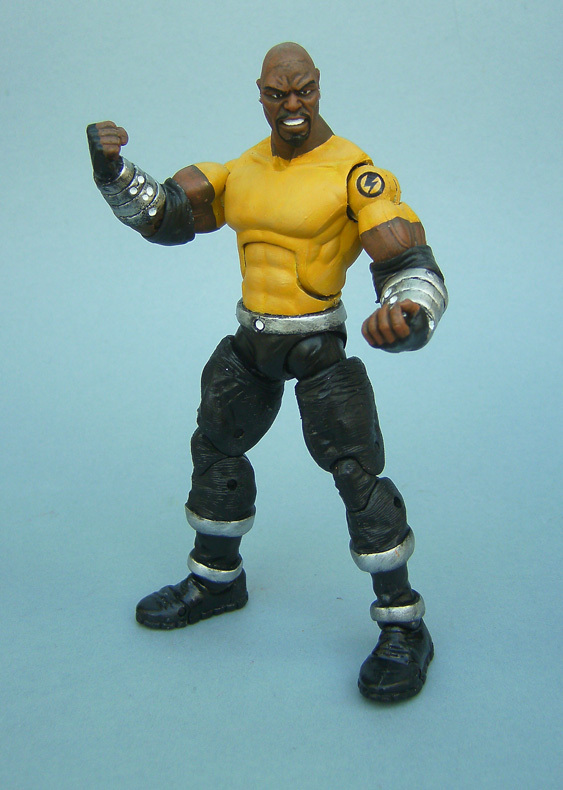 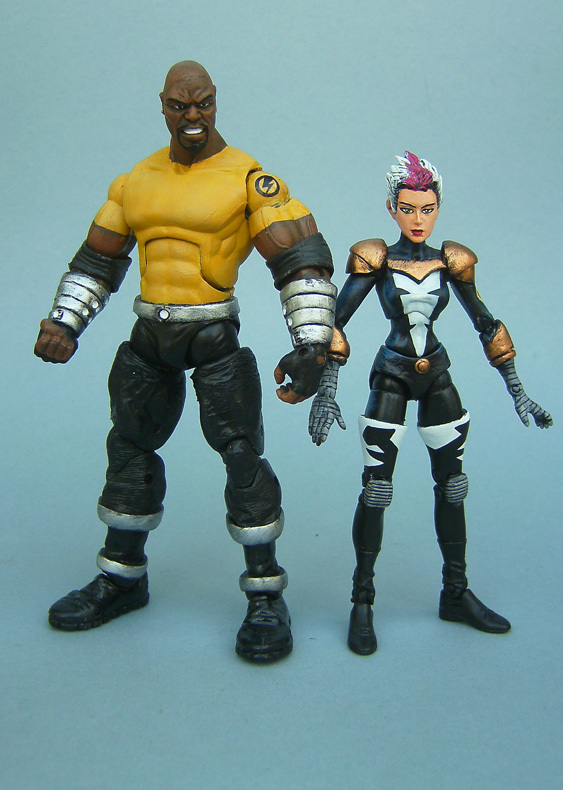 Here I show modern Thunderbolts Luke Cage: Made with a combination of figures, namely, a deluxe wrestler, Hulkling, and a Bishop head, the rest is sculpting. 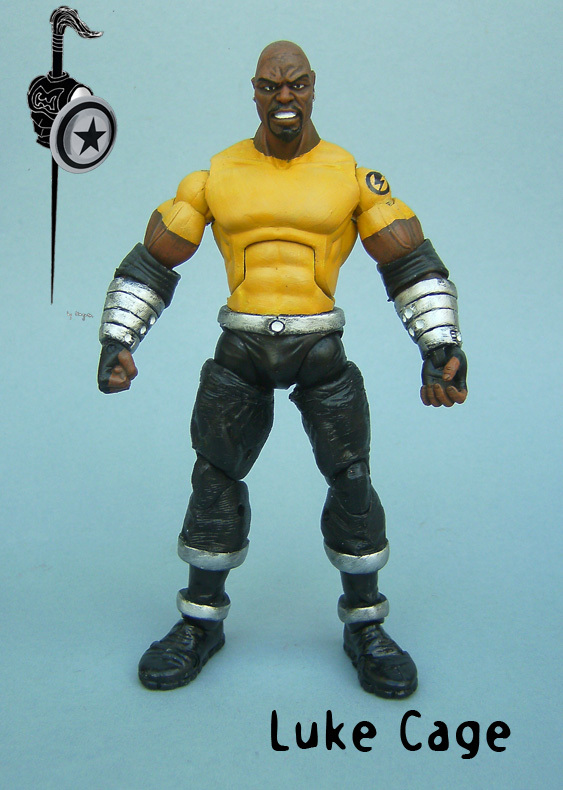 The thunderbolts logo is custom made and printed with special decal paper. 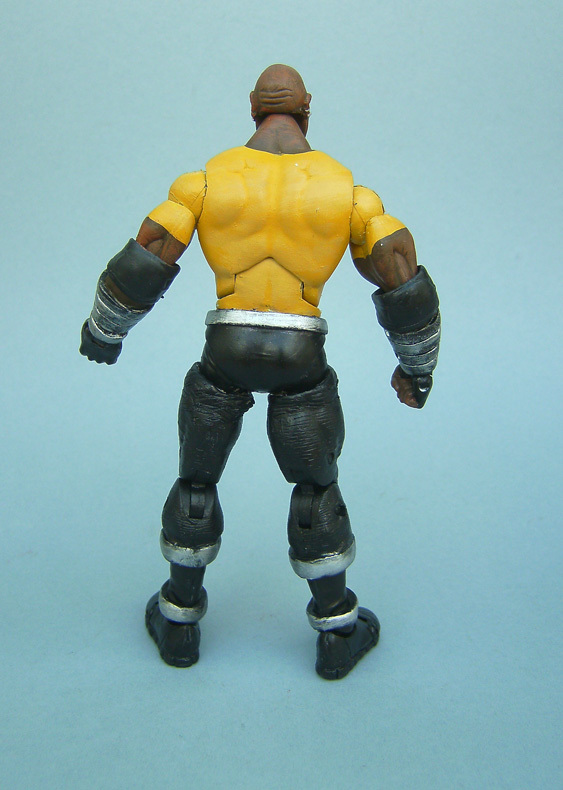 Hope you like him. 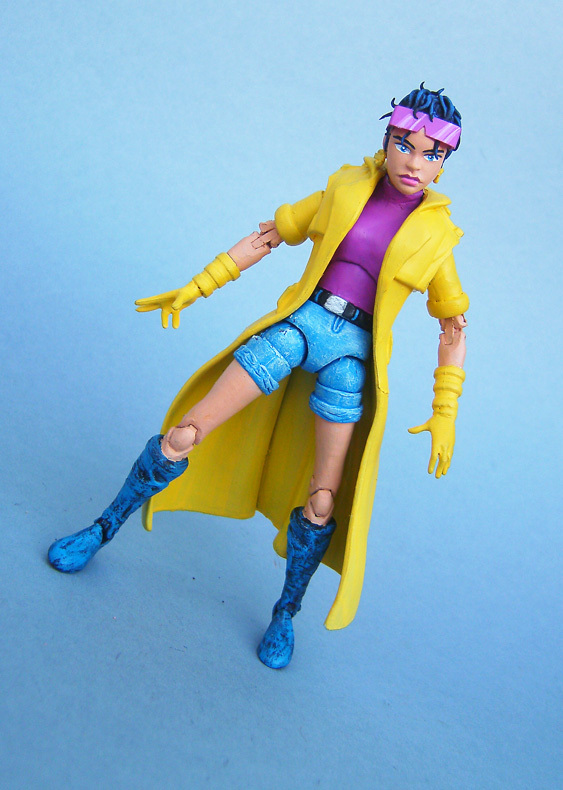 A classic of the customizing world; Jim Lee Jubilee. 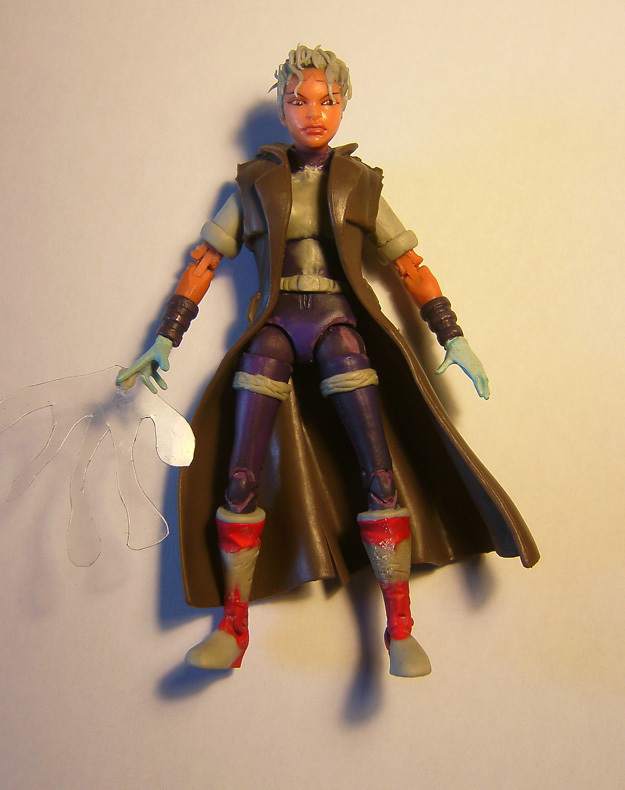 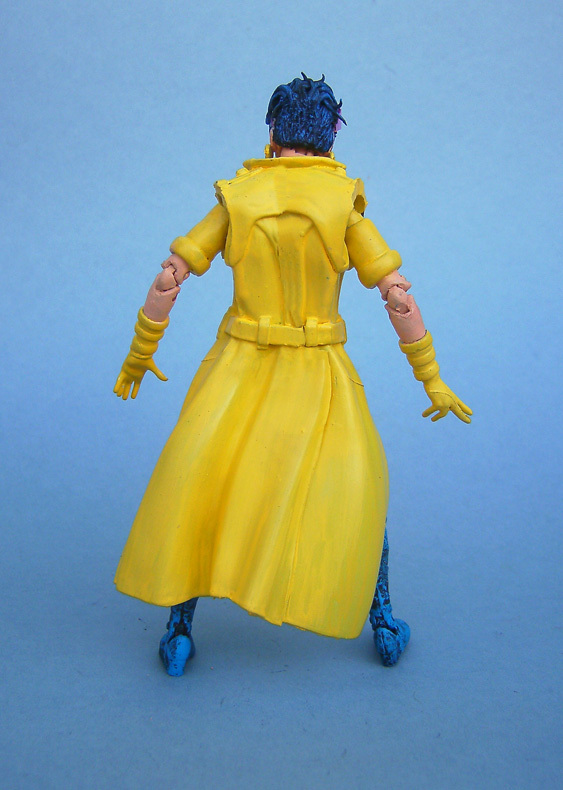 Made with the typical X-23, with Gambit's coat and Scarlet Witch boots. 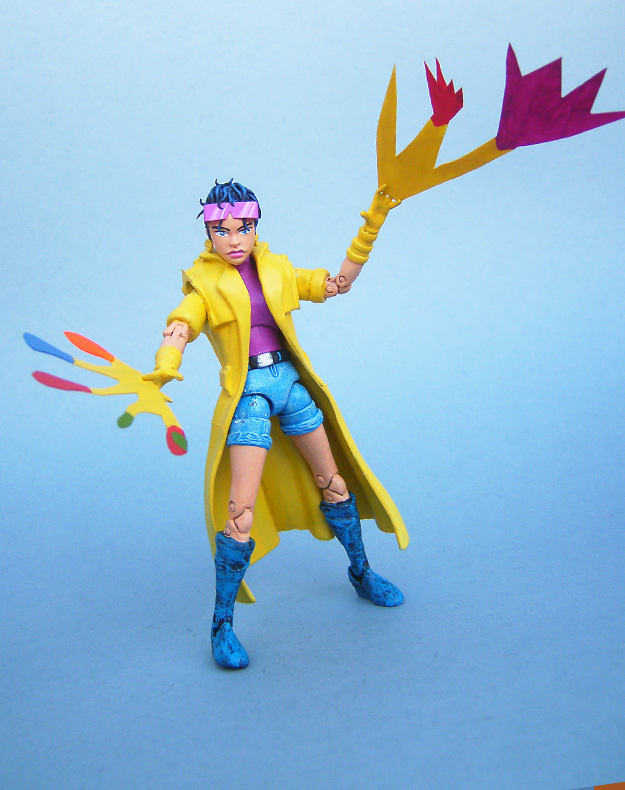 To give her a different touch I made a firework blast effect. 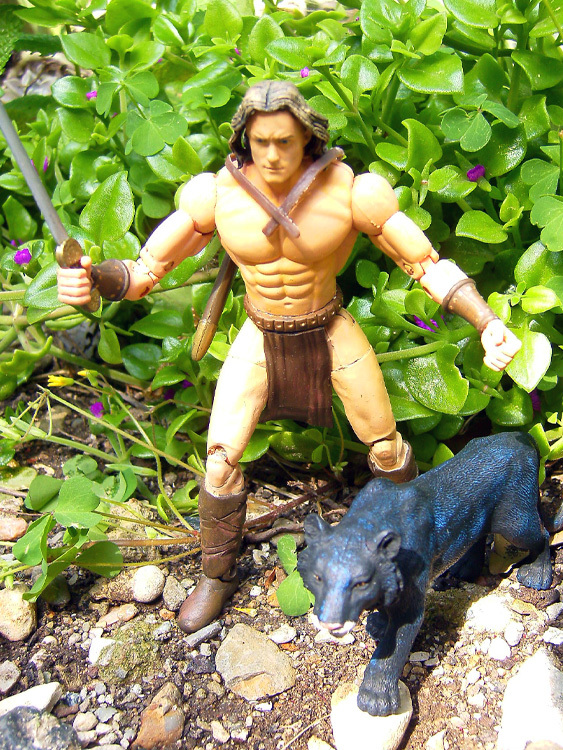 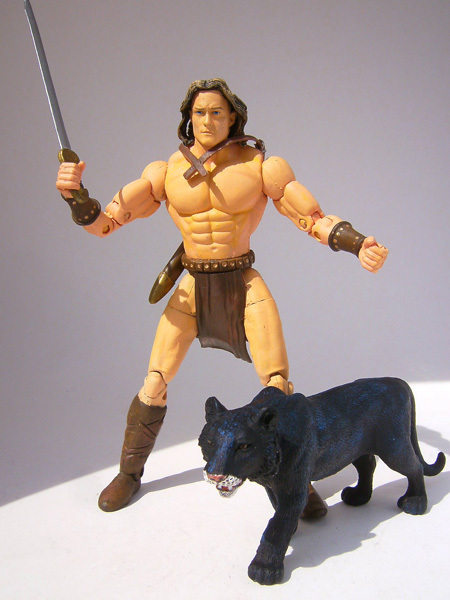 Here is the Beastmaster, from the film of the same name of 1982. 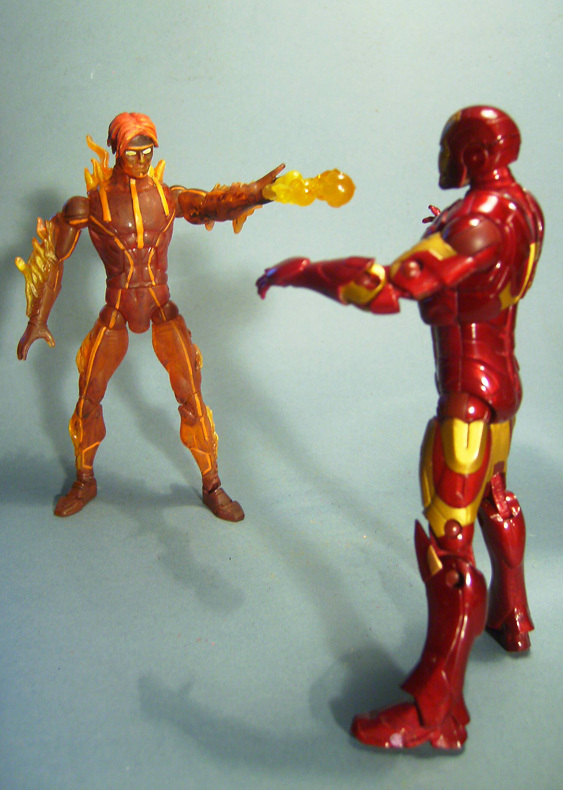 Made using a ML Kraven and Legolas head. 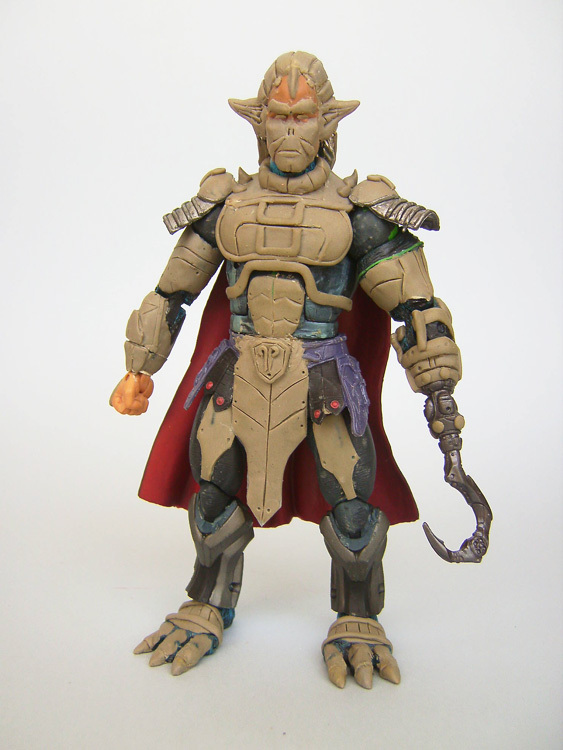 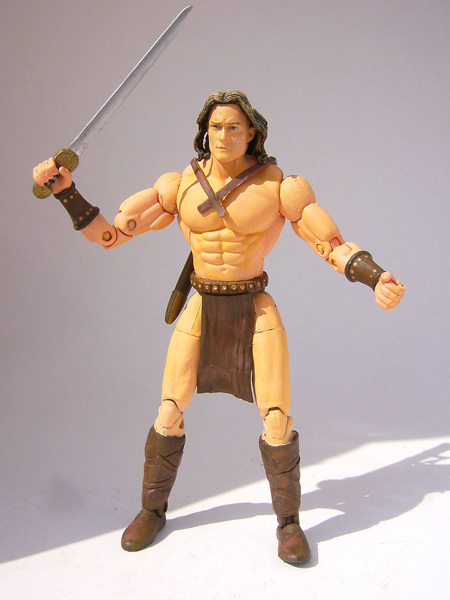 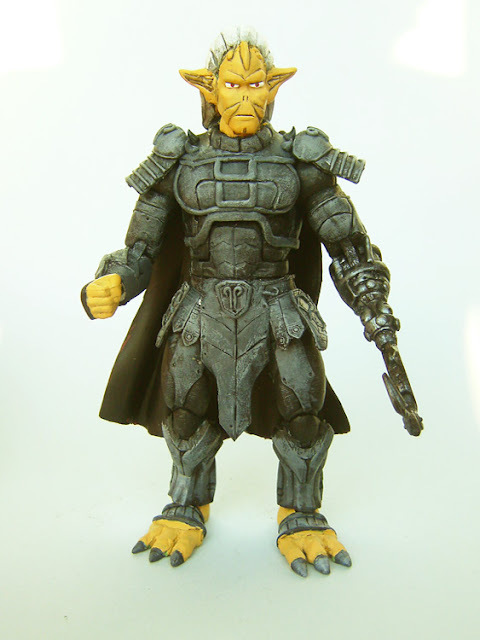 Here is Karg, one of Skeletor's henchmen in the 1987 Masters of the Universe movie. Here is Firebrand, the Iron Man foe, in his new look. 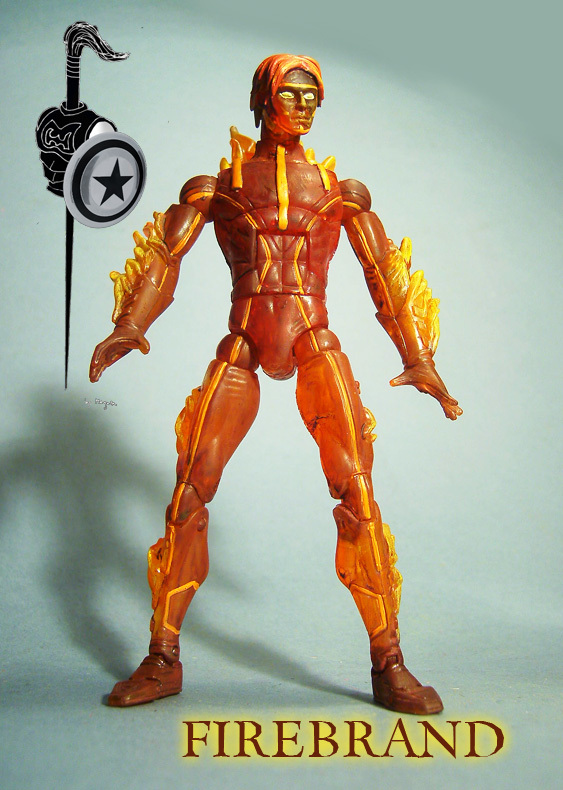 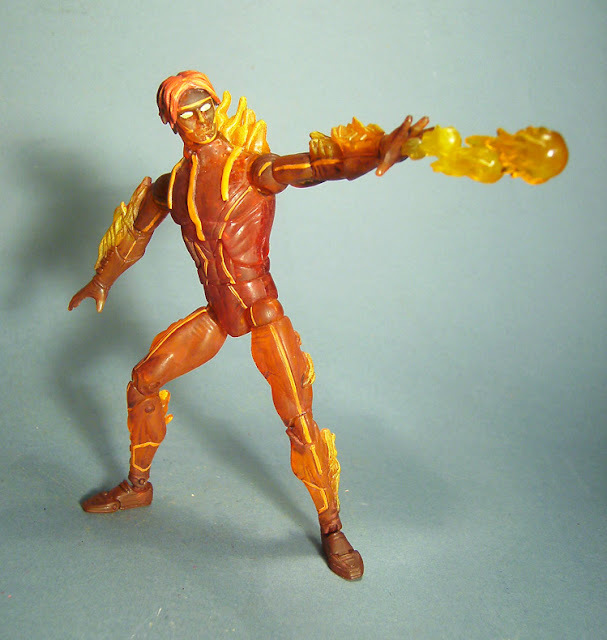 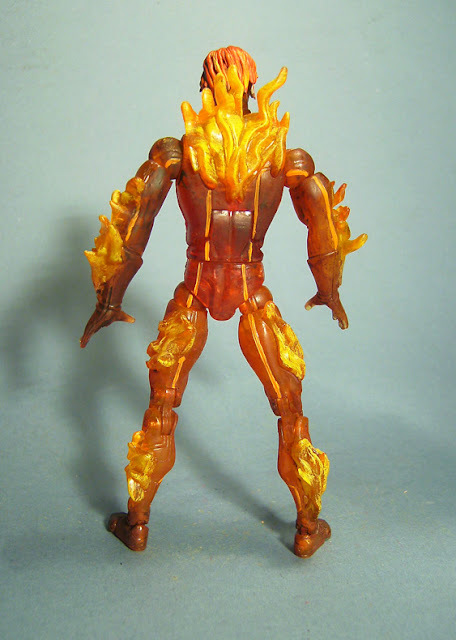 Made over a Human Torch figure. 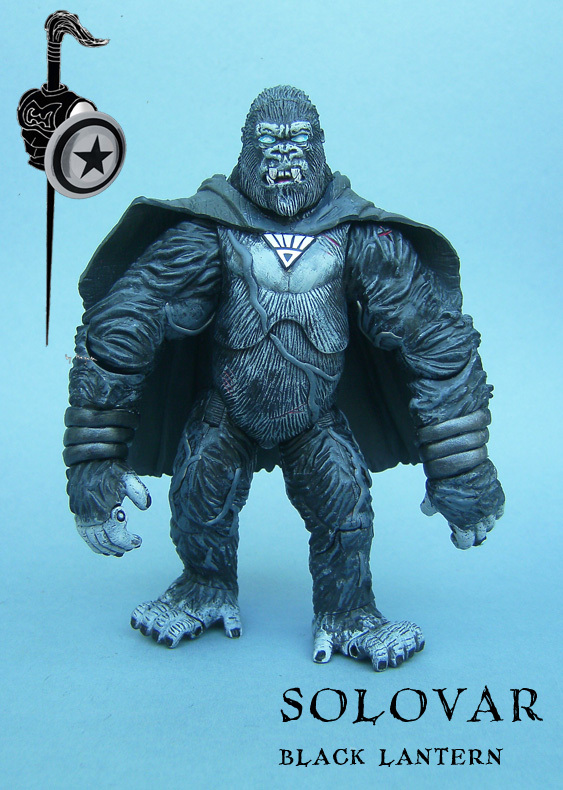 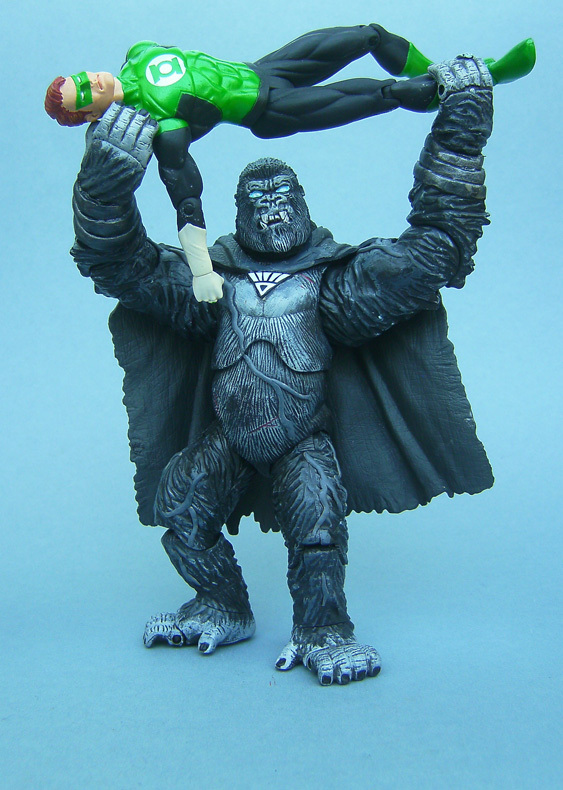 Here is Solovar, previous ruler of Ape City, killed by Grodd and returned as a Black Lantern.